Thanksgiving is my favorite holiday. Just another reason to spend all day in my kitchen, making food for the ones I love. I LOVE it! 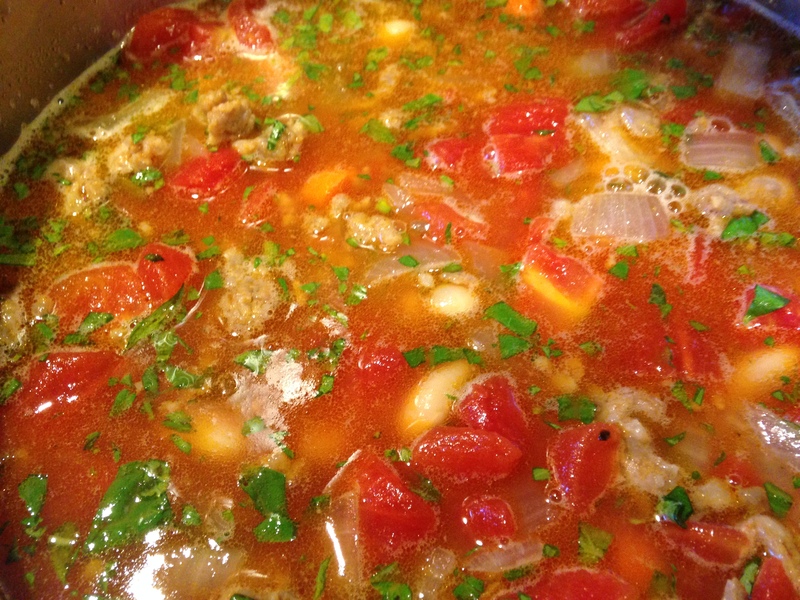 Martin and Rachel enjoy this super easy soup that takes no time to put on the table! 1. Take 1 cup of the sliced mushrooms and set aside. Chop the rest of the mushrooms. Cook and stir the 1 cup of sliced mushrooms in 2 Tablespoons of butter in a 3 quart saucepan over low heat until mushrooms are golden brown. 3. 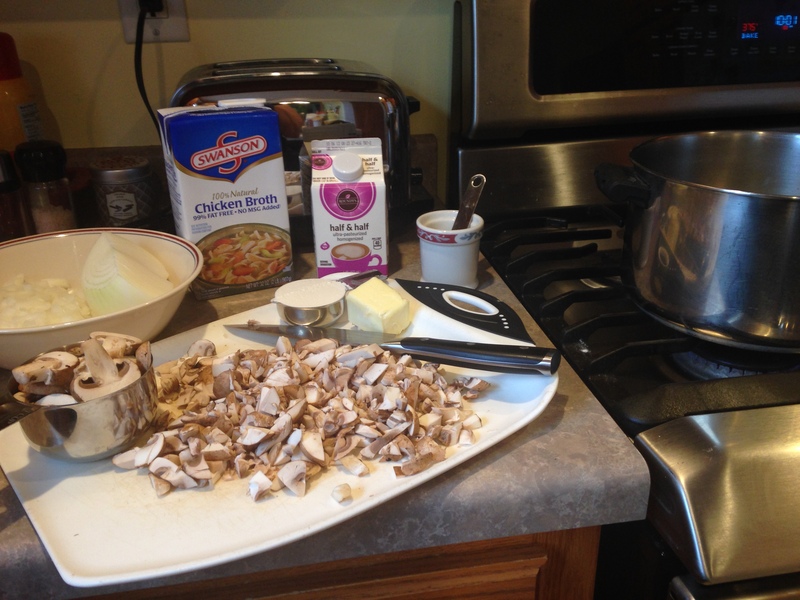 Cook and stir the remaining chopped mushrooms and onion in remaining 3 tablespoons of butter until onion is tender. 4. Stir in flour, salt and pepper in saucepan with mushrooms. Cook over low heat, stirring constantly until mixture is smooth and bubbly, lower heat and stir in 2 cups of broth , until mixed through. Heat to boiling, stirring constantly. Stir in half & half and sliced mushrooms. Heat just until hot (do not boil). 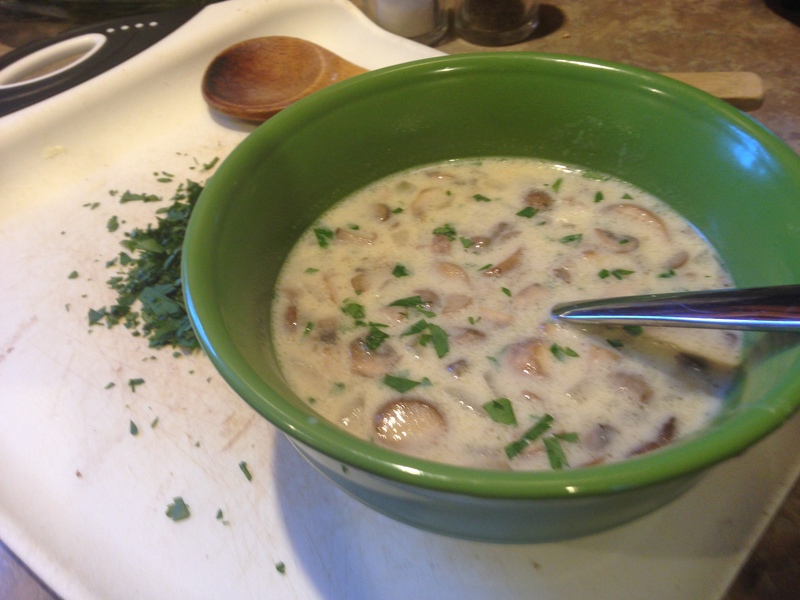 Have a recipe that calls for a can of cream of mushroom soup? Whip up this simple and delicious soup or have a bowl with your favorite sandwich. Enjoy! Well, that would be nice, wouldn’t it?! Martin brought over a bag filled with plums, lots and lots of plums. His grandmother is visiting from Bulgaria. We went over together to visit with her one day. 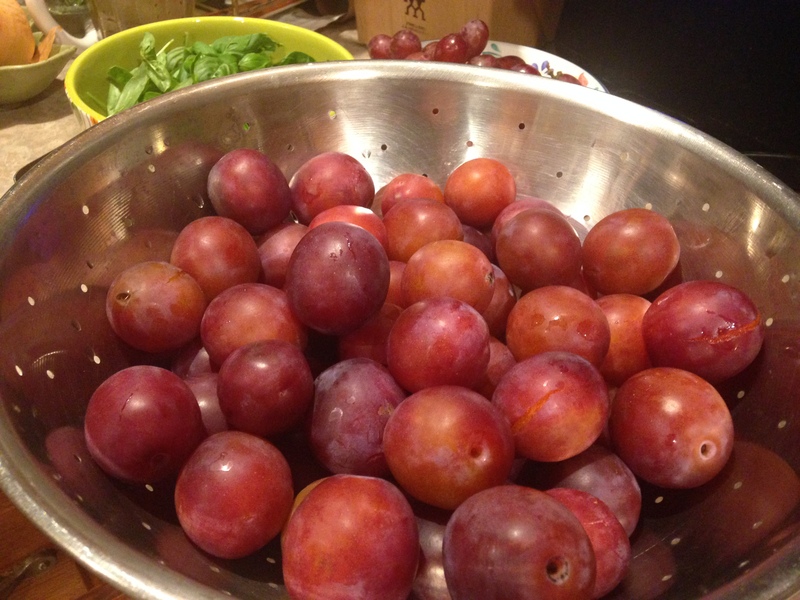 She made a recipe suggestion for plums. Last week I attempted to make this recipe. I didn’t write down what she said, so my idea of what she told Martin to translate to me did not work out too well. I made a pie crust, cut the a few plums in half, put the flesh side up and baked for about 30 minutes. Martin ate it but it definitely wasn’t what his grandmother had suggested. He explained it better to me after he realized I needed a little more guidance. 😉 I checked for some recipes online and found this recipe. I made a couple of small changes. I used my scale to measure the dry ingredients. Check out this website to convert grams to ounces. 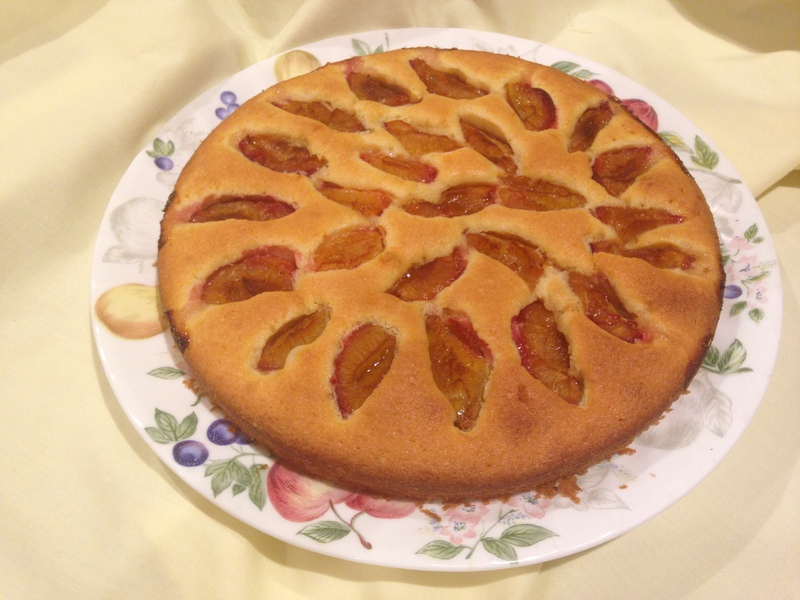 Another simple and delicious, fruity, buttery dessert! 1. Cream butter and sugar. Add egg yolks, vanilla and blend together. 2. Add flour, baking powder and mix on low speed. 3. Place egg whites in separate bowl and mix on high until peaks form. Add to batter and fold by hand into the mix. 4. Place batter in a 9″ round cake pan that is greased and floured. 5. Place plums skin side down into batter. Don’t be afraid to fill it up. I could have definitely used more plums. 6. Bake 30 minutes or until done. 30 minutes was enough for my cake. Sprinkle confectioners sugar or what about some cinnamon and sugar, whipped cream or ice cream or just a delicious piece of cake all by itself.